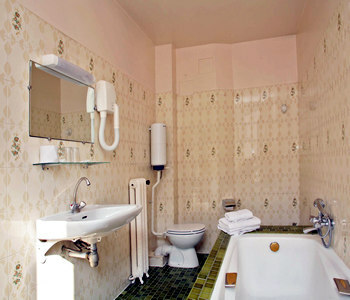 The HOTEL NORD AND CHAMPAGNE offers the comfort of its 43 soundproff rooms all equipped with bath or shower toilet , cable color TV direct , personalized telephone , automatic alarm clock . For you comfort and welfare, we have arranged a spacious lounge where you will be able to relax in a quiet and cosy atmosphere after either a busy working day or touring the city. 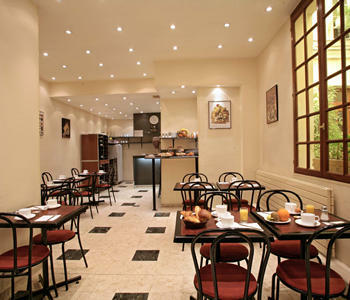 The HOTEL NORD AND CHAMPAGNE is near the business center of Paris, between Montmartre and Opera , in 15 minutes of Eiffel Tower and Champs Elysees . But the calmest side of Paris is also at our doorstep with both the Park Monceau and the Champs de Mars. Since your wake up , the HOTEL NORD AND CHAMPAGNE offers the pleasure of attentive and effective services. For breakfast , you will be able to have your buffet breakfast in our warmly decorated breakfast room or to get in your room.